This should’ve been posted months ago! But as usual life kind of got in the way so I’m only getting round to it now! So I was lucky enough to go on a little trip to the Far East (if you follow my instagram feed you’d have seen a lot of it in real time!) last October. The trip wasn’t for the sole purpose of fabric shopping much to my disappointment, but I did manage to squeeze some in! Here are the highlights! 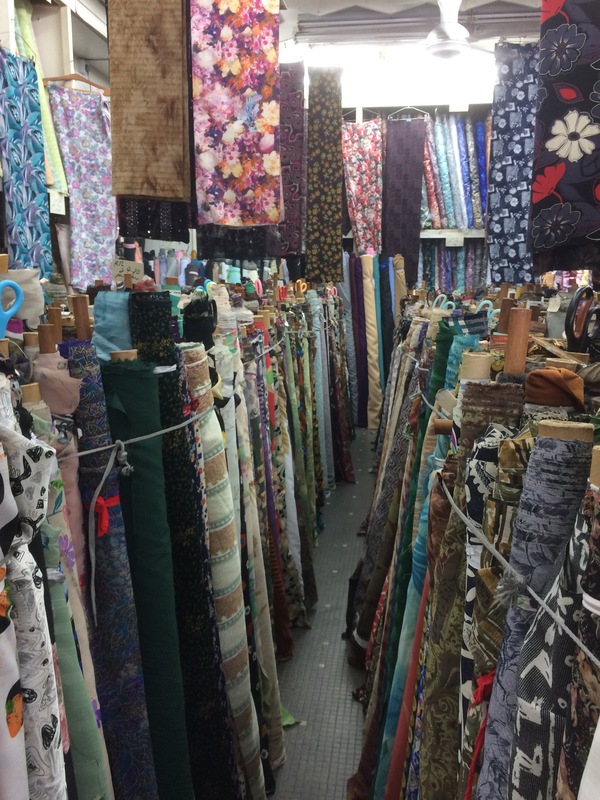 I was recommended one area in particular by a friend of mine who also sews and lives out there – the People’s Park Complex fabric market. Although she actually mentioned it after I’d already stumbled across it by accident. 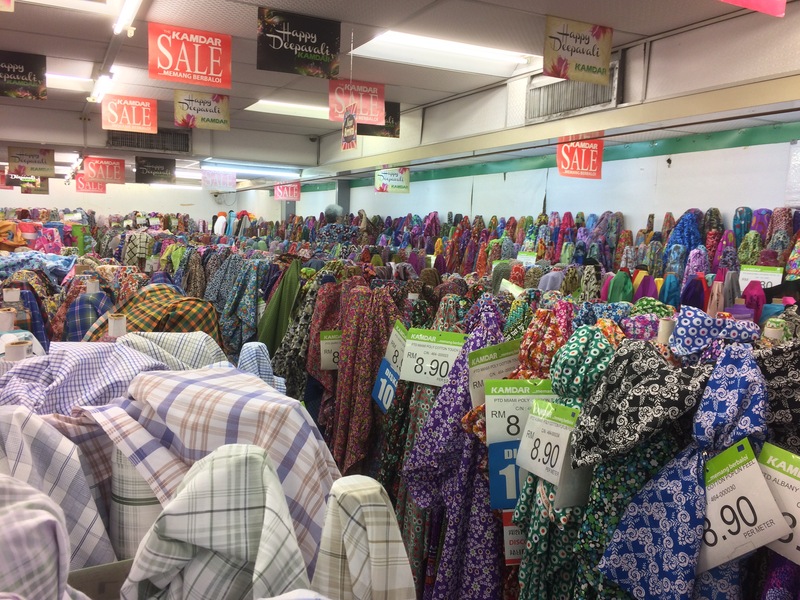 It’s across the road from the Michelin starred chicken stall that we’d gone to see (but not eat at because the queue was 3 hours long…) and one of the people I was with said they knew a place I could buy some fabric from around there. There are loads of little fabric shops crammed together in the second floor of the People’s Park Market building so plenty of choice! 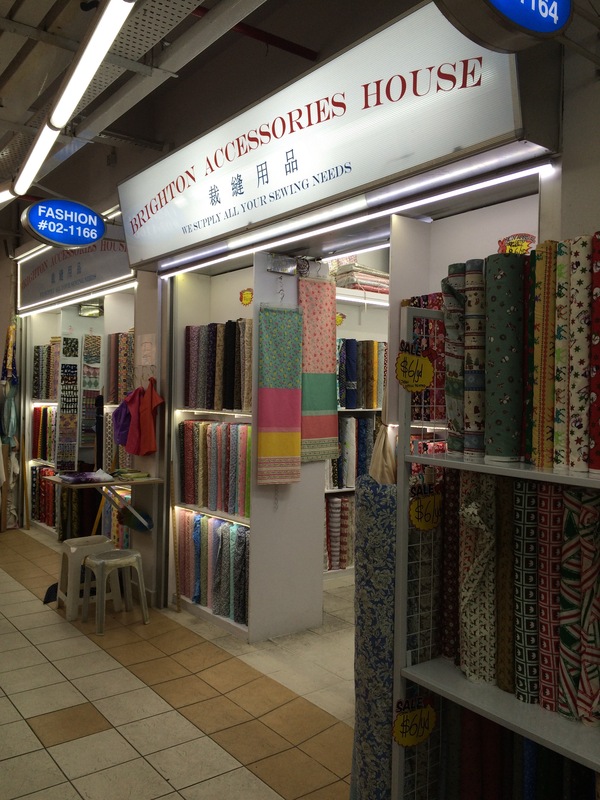 I actually bought the most stuff from the first store I went to Brighton Accesories House – they pretty much only sold Japanese cotton and at $6SGD per yard it was very reasonable. I think I got something like 25 yards from there alone… Overkill, yes. But I didn’t have a weight restriction for my flight home! Be warned, there is no air conditioning in here so prepare to sweat! 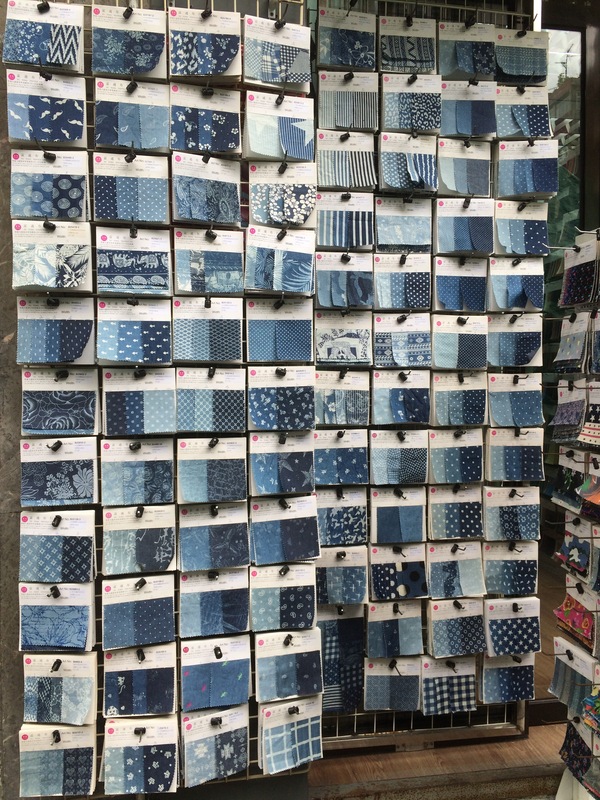 I both love and hate fabric shopping in Hong Kong. Mostly because the fabric choices are amazing! But I’m also way too scared to bargain properly/ go into the wholesale stores/ speak. My inability to speak Cantonese really lets me down! 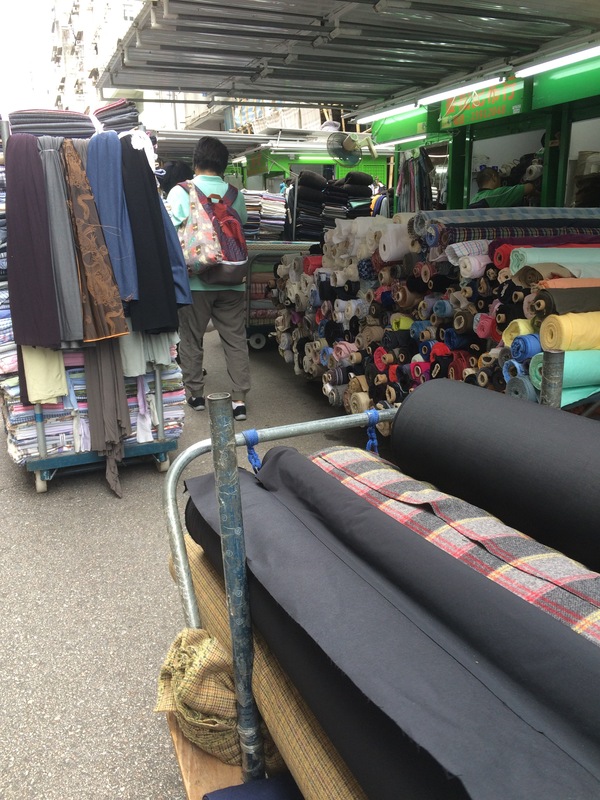 The best area to buy fabric is Ki Lung street in Sham Shui Po. If you’re coming from the MTR head south – the fabric market is on the lower half of that road. There are market stalls on the roadside selling gorgeous fabrics and they are very well priced. I got some lovely denim for $35HKD/ yard. That’s £3.5/yard. Amazing right? There are also shops lining that road which are filled with little sample cards. These are wholesale shops and you’re supposed to order from the samples available. I haven’t actually gotten the nerve to do this yet so let me know how it goes if you try it! Apparently you can order it and then pick it up the next day. There is usually a minimum yardage required. There aren’t a huge amount of fabric stores here anymore. According to my mum there were plenty when she was growing up there and making her own stuff but over the years that has given way to RTW and a lot of the stores have closed. There are a handful remaining. Mostly on Campbell St if you’re looking. The most famous one being Boon Wah. Go see it even if you’re not buying fabric. 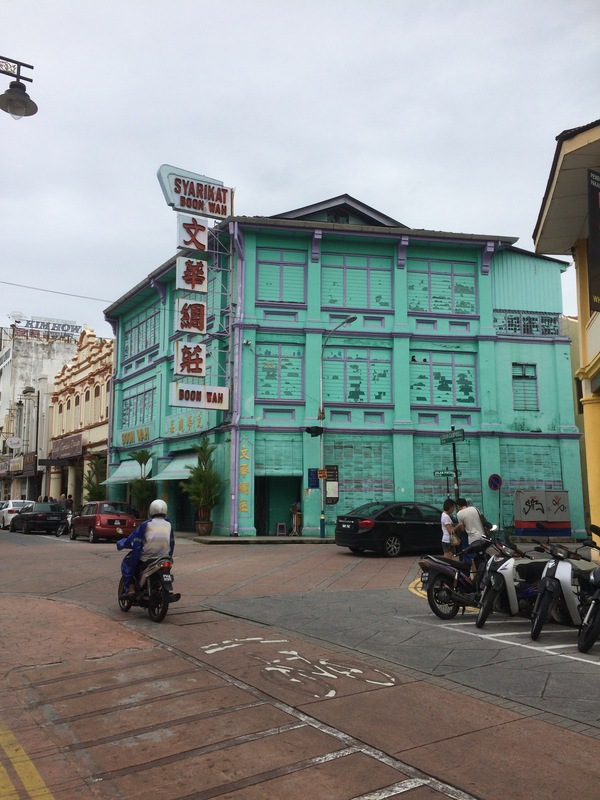 It’s a gorgeous turquoise blue heritage building. I actually bought the fabric inside wasn’t that great – overpriced and not amazing quality – but definitely worth a visit. It’s also worth visiting Kamdar if you’re looking for a bargain. 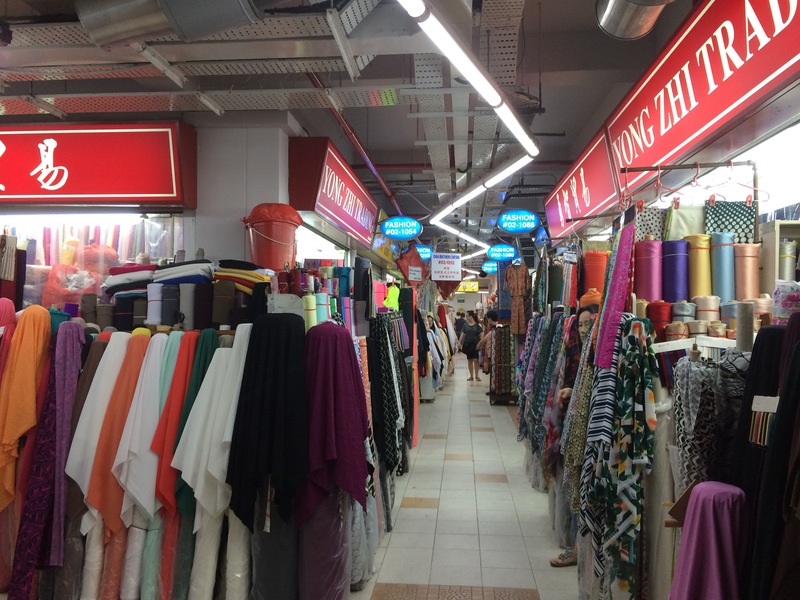 This chain has a few stores in Malaysia selling both RTW garments and fabric. I bought a couple of pieces from here. I’m sure there are plenty more fab fabric stores I’ve yet to find. I’m looking forward to getting to find them all in future! Jealous. I get to go to the garment district in NYC when visiting my niece. I would love to visit some of those shops! Wow. Fab photos! Thanks for sharing! More than jealous!! Know what you mean about bargaining – very stressful.